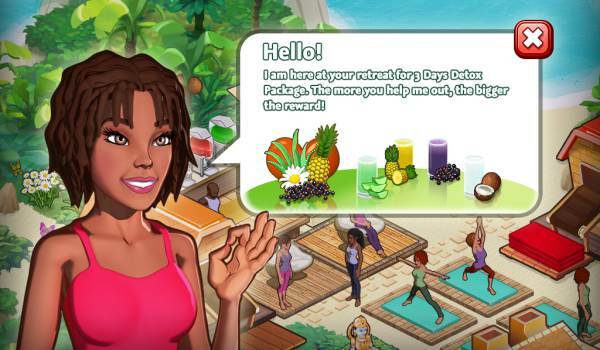 The Facebook game Yoga Retreat is now available to download on Apple’s App Store. Although it’s been available to play on Facebook since 2012, Finland-based Gajatri Studios has only just released it in App Store Canada, Netherlands, and Finland, and it will soon be available worldwide. According to USA Today, Finnish game developer Tiina Zilliacus got the idea for the yoga retreat game when she realized how many game developers were male. During her experience running two small game studios, Zilliacus became concerned over not just the lack of women in the industry, but also over the stereotypes she saw in the games targeted toward a female audience. “They relate either with cooking or fashion,” she tells USA Today. So she decided to take advantage of the burgeoning interest in health and fitness apps and create Gajatri Studios, whose first game was Yoga Retreat. 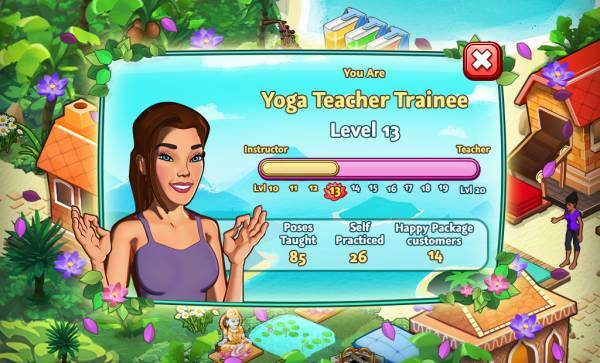 The game itself is a “business simulation” in which players take charge of their own yoga studio, teaching poses and expanding their simulated yoga empire with things like juice stations, more yoga mats, and paddleboards. Players can also challenge their friends to learn yoga poses, and are encouraged to practice the poses themselves. Zilliacus, who has been practicing yoga for 10 years, wanted the game to focus on wellbeing rather than being a superficial experience, and wants to attract more female players to the gaming industry using the themes of health and wellness. There has also been discussion on getting more women involved in development of the game. Currently, women only make up about 22 percent of the video game industry’s workforce, according to USA Today; Zilliacus says she would love to see more of a balance in the industry. What do you think? 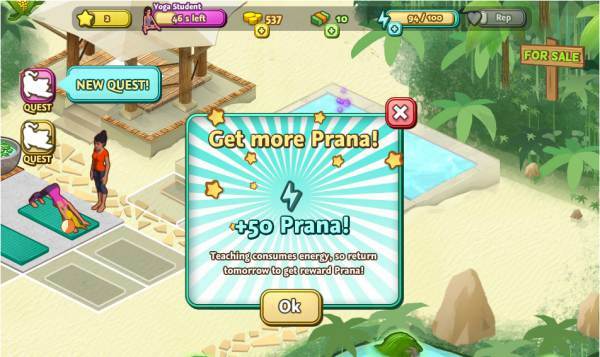 Is a yoga-themed game more appealing to women than to men? Would YOU download and play this game?